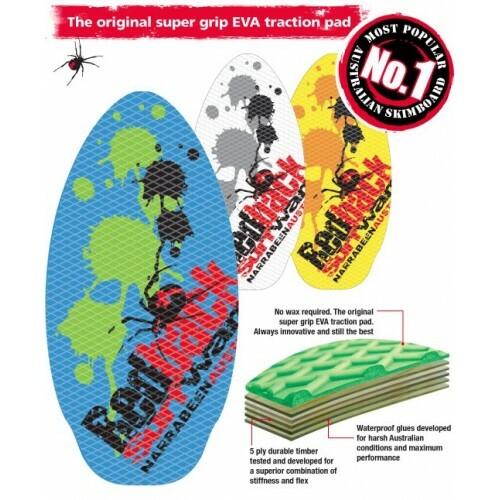 The original super grip EVA traction pad. 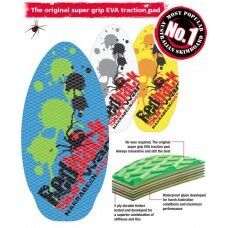 Always innovative and still the best Provides great grip, traction. Great on the feet with the added benefits of low impact and no wax needed. Waterproof glues developed for harsh Australian conditions. 5 ply durable timber tested and developed for a superior combination of stiffness and flex.